Warp Design create web sites that reflect your brand. We provide your organisation with a high-quality professional and business-winning web presence. 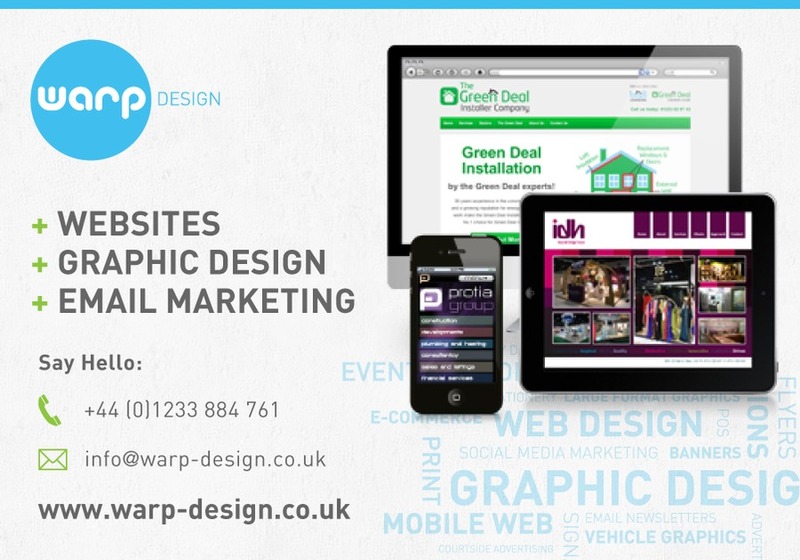 Warp Design provide a dedicated and personal approach. Whether you require a simple website consisting of only a couple of pages or a fully bespoke site with a content management system or an e-commerce solution. We listen to your requirements and build sites tailored to meet your exact specification. Warp Design websites adhere to the same core values of strong, imaginative and creative design all our projects receive. Your site will be built to reflect your identity and present information about your products and services in a way that is consistent with your offline marketing materials. You can expect all the features of a well thought out modern website including: User friendly content management system; Responsive design; Simple and effective navigation structure; Search-engine friendly design; Testing and configuration of servers; Affordable and reliable hosting; Social network integration and much more. • Friendly local service, global reach. Web design Ashford, Kent & beyond! Warp Design, full web and graphic design services. Fully responsive mobile-friendly design.